The filter is a master piece for the fish tank, it does a great job of creating an impeccable environment that allows the fishes to gallivant in standard health and happiness. The above reason is enough to have you make sure the filter remains healthy itself. 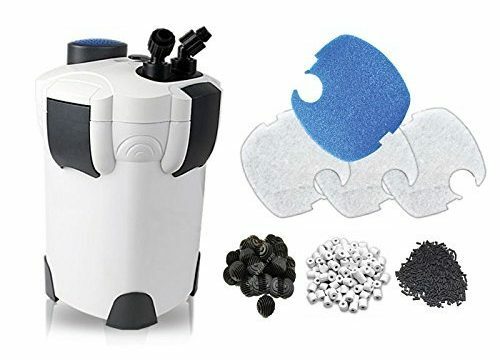 You should always think about how to clean fish tank filter pump if you want the filter to keep on giving the optimum result. When the filter is afforded good maintenance, your fishes are also promised a good life and everybody is happy. Your type of filter determines what it does, but a standard filter works not only to filter the water but also works in the maintenance of the bacteria that are beneficial to the aquaria. To avoid jeopardizing the chemistry in your fish tank, you need to have a scheduled plan in place on how to clean your fish tank filter pump. The specific time to clean the filter is not written on the stone, it should normally be the moment you notice that the filter is clogged and dirty. However, you could choose to have scheduled days in the month that you will have the filter cleaned. You could chose once in a week or once in a month for the cleaning of the fish tank, by doing this it will give the fishes time to readjust to the environment again and continue to live fine. The process of cleaning is not however an automatic process. Each fish tank filters are cleaned based on their functionality and what type of filter it is. The very first thing to do when choosing to clean your fish tank filter is to importantly go through the set guidelines by the manufacturers. This is because each maker will make sure you get a manual that will be used to clean the fish tank so that you can have to save time when you do. The first thing to do here is to make use of the water in the tank to clean the mechanical filter. This will benefit the fishes that are inhabiting in the tank. The smell from the filter will not be as new but the fishes will have an idea that there is a change in the environment. Be sure to have the filter removed from the electric outlet to avoid getting shocked. You can now safely remove the filter from the tank to have it cleaned effectively. Next is to have your filter sponge or pad washed in a bowl of water that was gotten from the tank. Gently have the gunk attached to the sponge with your hands. It is advisable to have your gloves on when cleaning if the water is too icky. You can use the water left over in the bowl to have other parts of filter washed. When you spot a stubborn stain you can use a brush to scrub off. With all the above steps carried out, your filter is now clean and ready for use. Fix back the filter, plug back to the socket and see if it is working fine. To have the chemical filters cleaned, the best thing to do is to have the carbon swapped at scheduled intervals. This process can be carried out on a weekly basis or at a point you notice the water is becoming cloudy in the tank. For additional process of cleaning you can look at the manual and follow the instructions. But the best cleaning process for a chemical filter is by swapping the carbon. The biological filters does not really need excessive cleaning because You do not want to disturb the growth of the beneficial bacteria present in the filter tank. These bacteria are needed for aeration, nitrogen fixing and most importantly for the process of filtration itself. For the process of the cleaning a biological filter, you do not need a hard wash. All you have to do is rinse wash the filter tank and have it look considerably neat for your fishes. Doing this will help maintain the bacteria filter needed for filtration process. Having done this you can put back the filter and begin use again. The cleaning of this masterpiece equipment is essential because you get to give your aquatic friends a way of life that is swift and free from all sorts of attack that could come from having dirt in the aquarium water environments. When the filter is clean, there’s a feel good feeling in the aquarium and you will notice the fishes are having a good time. The cleaned filter works more effectively and make sure the filter process is out rightly effective so that you don’t have to be away and have fears of poor living for the fishes in the aquarium. If you happen to be one of the individuals that have series of filter systems installed on your fish tank, the best way to have them cleaned is to set aside days that will be suitable for the cleaning of the filters. This process should be followed so you would not have to clean the filters on the same day. Be religious to your scheduled planning for cleaning and make sure you do not deviate from the process. Lovers of the aquatic life are always keen to make sure their pets are living fine and have no health concerns whatsoever. This is why they go through the process of installing a filter for the fish tank and also have the water filter pump cleaned. All processes adopted is for the best living of your aquatic friends and this should be done with diligence.